Dictator Edgar Lungu says Some People Will Have To Lose their rights as he hints at declaring state of emergency. 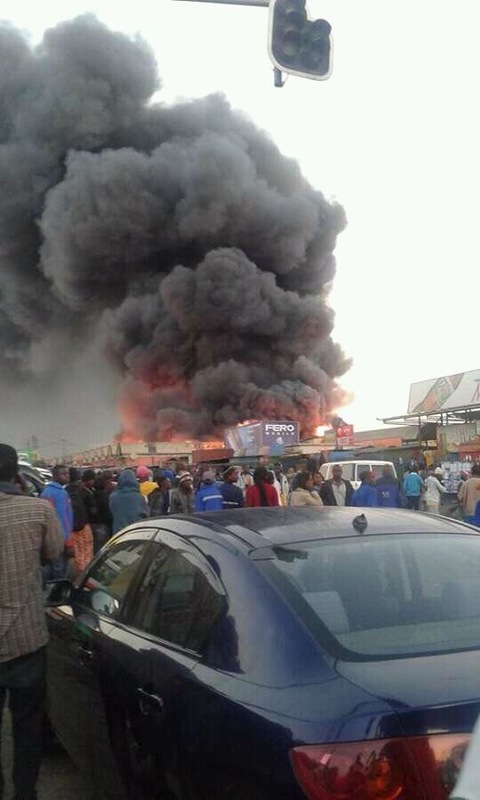 Upon arranging in Lusaka from Ethiopia Lungu said he will now take unprecedented measures and steps in the wake of fires that have burnt some markets in Zambia. “I do not want to pre-empt the measures we have put in place to up the game and we have done nthat. But I will wait to be briefed, Lungu said. “If it means taking measures which are unprecedented we will do just that, some people will have to lose their rights. People who have lost their property have lost their livlihoods. So if I become a dictator for once bare with me,’ he said. From the airpot, Lunu proceeded to City Market Which was set ablaze last night.